There is, and continues to be, ground breaking research on ingredients that will make us Age-less. The plant kingdom continues to amaze with its unique offerings and diverse benefits. Essential oil and plant extracts are extremely beneficial in treating skin conditions, as well as working in the fight against aging. There have been increasing demands for botanical and holistic ingredients, which you can find at the SKYN Blending Bar. These treatments have been the answers behind many celebrities’ youthful glow. Also, because they know these secrets, they do not wait until there is a problem to fix, they start in their late 20′s. You do not have to be over 30 to start an Age Management Regime. The earlier the better. Prevention is the key! Skin aging really begins during late 20′s – 30. Particularly when you’ve exposed yourself to the sun. 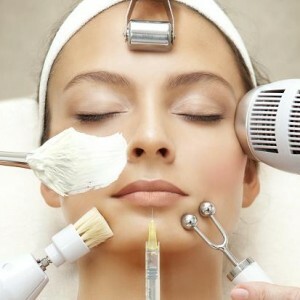 Fine lines develop as Collagen and Elastin start to break down, and our delicate skin under the eyes begins to thin. Skin generally becomes drier quicker. Broken veins may start to show up as tiny red dots, and towards the end of this decade, age spots and brown pigmentation marks, or ‘sun spots’, may appear. Under-eye puffiness may become a problem, taking longer to subside after you wake, but don’t panic, there is a lot you can do to slow down the aging process. Deeper lines begin to form around the mouth and eyes, furrows appear on the forehead and circles under the eyes may grow into pouches. Most women’s skin becomes noticeably drier. In the run-up to Menopause, and during this phase, skin may also become more sensitive. What’s more, skin loses its resilience due to a breakdown of Elastin and Collagen. Dryness. Your skin has a hard time retaining moisture and natural oil production slows down. Dullness. Cell turnover continues to slow – a process that started in your forties. Dark spots. Between the lack of oil, the loss of collagen and elastin, and the dryness, dark spots can really start to stand out. Every condition is either preventable or can be reversed. We can help you achieve Age-less skin!